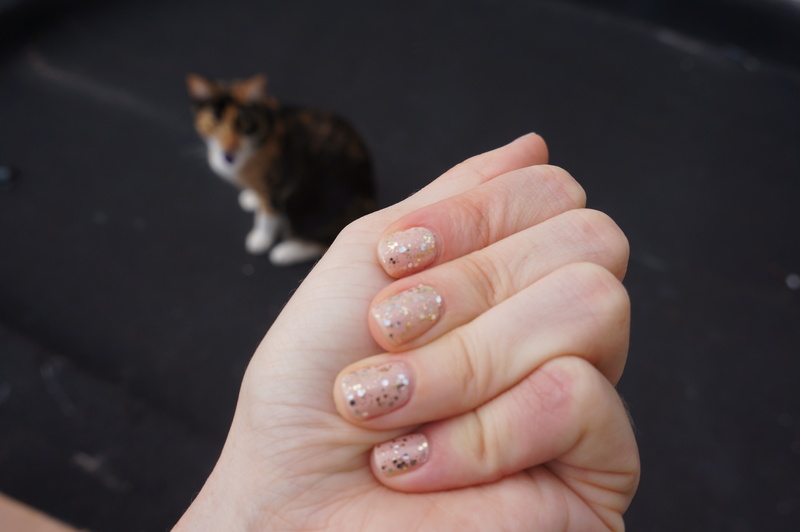 The pictures above show only one coat of glitter nail polish – that’s how dense it is! 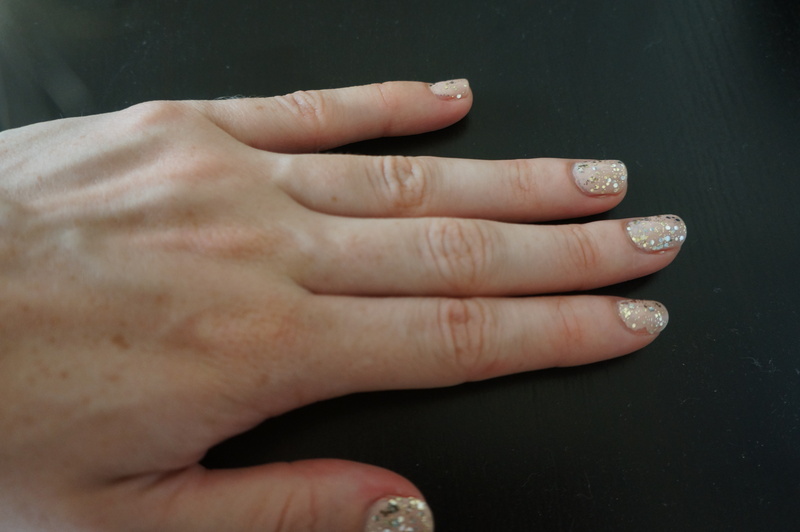 It’s a really beautiful combination of different sizes gold and silver glitter. Make sure you get it before it sells out!